Bird photography at ILE is usually fair to lousy, but in early spring there are nesting Sandhill Cranes and in late spring there are fledged Ospreys. 2009 was a phenomenally productive year for this species. As you can see in the image below, it took some careful driving to get my SUV into the perfect position…. If you wish to make sharp images from your vehicle, nothing else even comes close to the BLUBB: https://store.birdsasart.com/shop/item.aspx?itemid=12. For the technical details, to learn how I set this image up, and to check out “Back to the Basics #1 and More,” click here. For the technical details and to learn whether images of ugly birds sell well, check out the BPN thread here . Somewhat to my surprise, this image generated lots of comments. 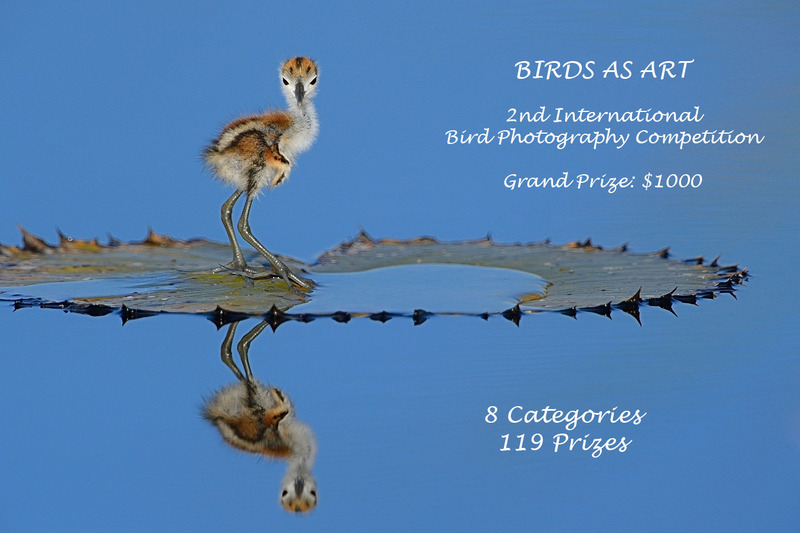 Payment may be by check or money order mailed to Arthur Morris/BIRDS AS ART PO Box 7245, Indian Lake Estates, FL 33855, by Paypal to birdsasart@att.net, or by credit card. Please call 863-692-0906 for credit card orders. Or visit the store here. This image was stitched together from five vertical frames created from the deck of the big boat. You can learn how to create and assemble the frames needed for a stitched panorama (plus tons more) in our Digital Basics File. Do you think that my JPEGs look good? Complete instructions for creating JPEGs from your master files in three seconds via an action are detailed in Digital Basics, which also includes my complete digital workflow and dozens of great Photoshop tips. Openings: 3. (It is advised that you be in Anchorage on the afternoon of the September 2nd to be assured of not missing the boat!). This one is the bears-catching-salmon trip. In addition, Glaucous-winged and Mew Gulls eating roe are a certainty. Dark phase Northern Fulmars and Black-legged Kittiwakes (including the gorgeous immatures), Harbor Seals, and Stellar’s Sea Lions are likely. Did I mention bears catching salmon? And more bears catching salmon? Powerful and proud Coastal Brown Bears (Grizzlies) catching salmon, colorful island-dwelling Horned Puffins, majestic landscapes and more – a photographic trip to Alaska can be the trip of a lifetime. Join me for a unique adventure; photographing Coastal Brown Bears that gather to catch salmon on Cook Inlet at the mouth of Silver Salmon Creek. We arrive the morning of August 14th and depart in the afternoon on August 20th – photographing in the afternoon the day we arrive, each morning and afternoon thereafter, and then on the morning of our departure. Though the bears are the highlight of this tour, we will be making a least one trip to Duck Island for Horned Puffins and Common Murres. Our accommodations are at Silver Salmon Creek Lodge on Cook Inlet in the National Park. If you think you will be roughing it, the fine double-occupancy sleeping quarters and excellent meals will dispel that notion upon your arrival. Our host, David Coray goes the extra mile to assure all are happy with their lodge experience. In August of 2007, I co-led a workshop with Artie Morris at this location with great success – read his report at www.birdsasart.com/bn240.htm. My first image below from that trip won 2008 NANPA Showcase Top-Ten honors. Between the morning and afternoon photography sessions, our indoor sessions will cover light angle, composition, in-the-field techniques, long lens technique, grizzly panoramas, High Dynamic Range Imaging, Photoshop and more. Those attending must be in Anchorage by August 13th for an early departure aboard a float/bush plane on the 14th. Included are the float/bush plane flights to and from Anchorage and the lodge, all meals at the lodge, guide service, transportation to and from shooting locations, accommodations and, of course, expert instruction in the field and at the computer. Travel to and from Anchorage and accommodations and meals in Anchorage are not included. For additional details, download the comprehensive brochure here: http://www.wildscapeimages.biz/storage/SSCL-Bear-PIW.pdf. Contact me at wildscapeimages@comcast.net, 407-808-4717, or send a PM through BPN. According to our host, David Coray, we’ll be at the lodge during the prime salmon run. It does not get any better than this – a large grizzly pursuing a salmon. 2009 White Sands NM, New Mexico 2 days, $599, limit 6. As this image was created at 9:30 on a clear morning, I held a large reflector above my head to shade the subject. Somewhere in ABP II (It Ain’t Just Birds),I wrote that 90% of all flower images could be improved simply by shading the subject…. Learn more about The Art of Bird Photography II (916 pages on CD only) by clicking on the link here.